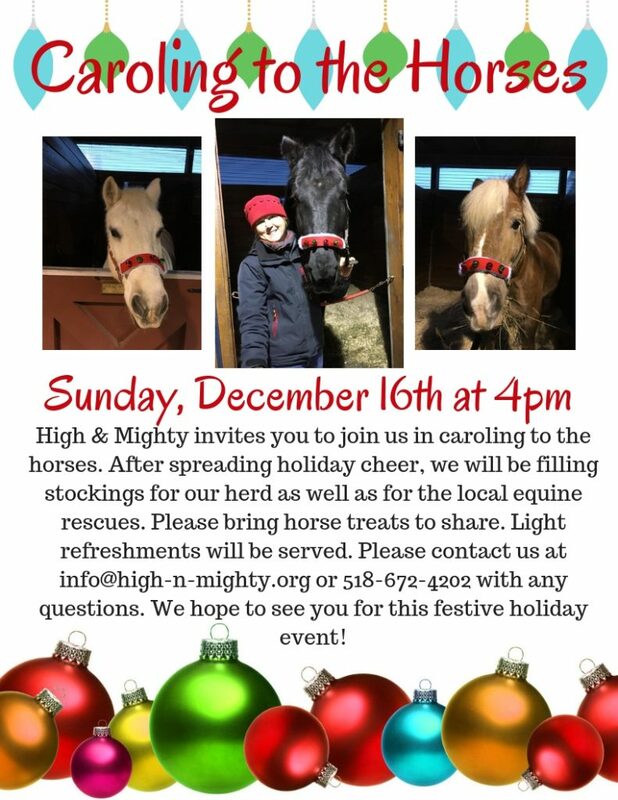 Come spread holiday cheer to your favorite horses at High & Mighty! 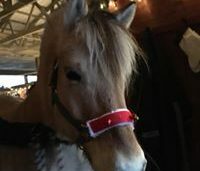 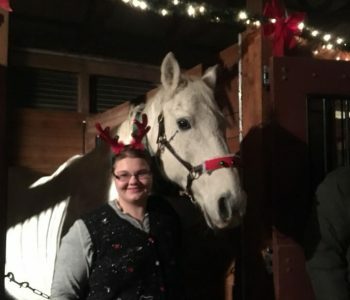 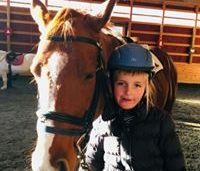 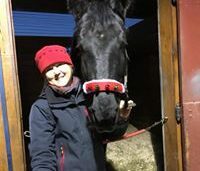 To get everyone in the holiday spirit, singing begins in the indoor arena where several of the horses show off their holiday attire. 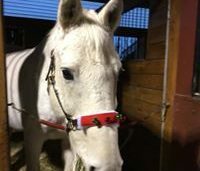 Once the horses return to the barn, guests are invited to gather around their stalls decorated with twinkling lights and sing carols to our beloved herd. 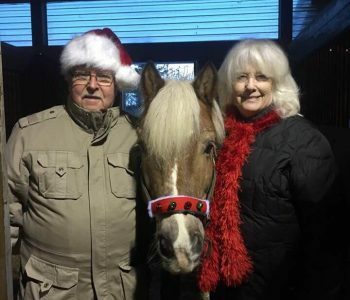 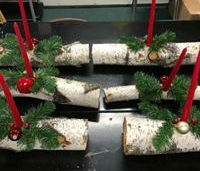 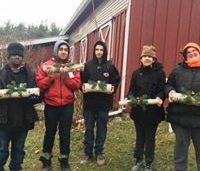 When caroling is completed, we continue spreading holiday cheer by filling stockings with tasty treats to share with our horses as well as horses at surrounding farms. 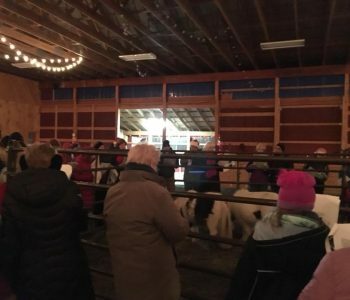 While stockings are filled, guests are welcome to help themselves to warm drinks and cookies.